I just made this for lunch. It was amazing! I used sprouted mung beans. I had made this and it was really delicious. But nothing was left for the next day. So I am making it again today and must try to save a little to get to taste it again tomorrow. 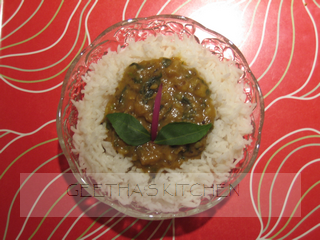 Hi Hema, I am glad that you liked this recipe. Were you able to save some for another day :)? I would love to hear your opinion. Hello Thomas, Thank you for taking time to add your feedback; so glad you enjoy the blog. I appreciate your kindly complimentary comments :)! Peace and Joy!